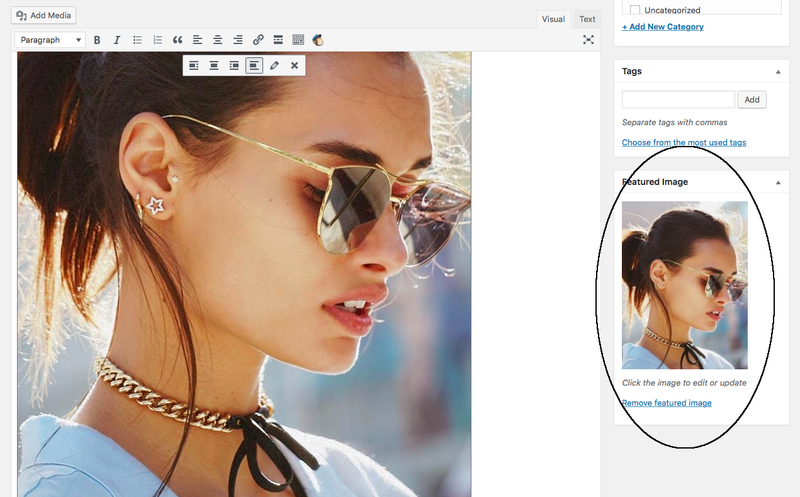 To get the maximum out of your theme we recommend that you always set a featured image to your posts. The homepage layout displays the set image as the preview thumbnail. Go to your Post and scroll down till you see on the Featured Image Meta Box on the right hand side and choose the image of your choice.